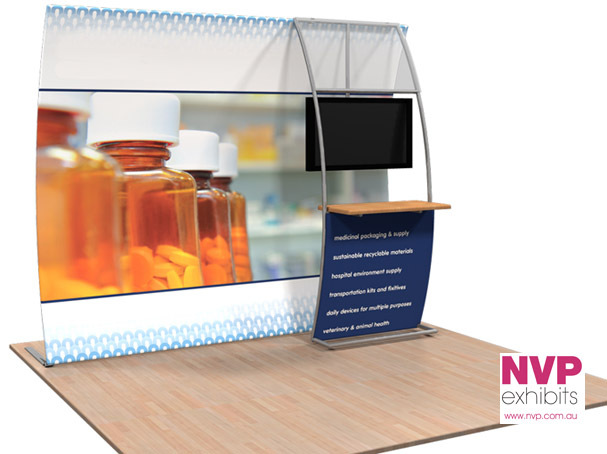 The NVP Exhibit 7 Fabric Display Stand is stunning and elegant trade show display offering exhibitors portability, easy transportation, modularity and tool free installation. This Portable Display Stand is built to last and designed to create high visual impact. The counter and TV stand can be separated from the main stand.